WASHINGTON, DC — Each June in Huinchiri, Peru, four Quechua communities on two sides of a gorge join together to build a bridge out of grass, creating a form of ancient infrastructure that dates back at least five centuries to the Inca Empire. The year’s previous bridge is cut free and plunges into the Apurímac River below, swept away in the currents that flow through the Andes. 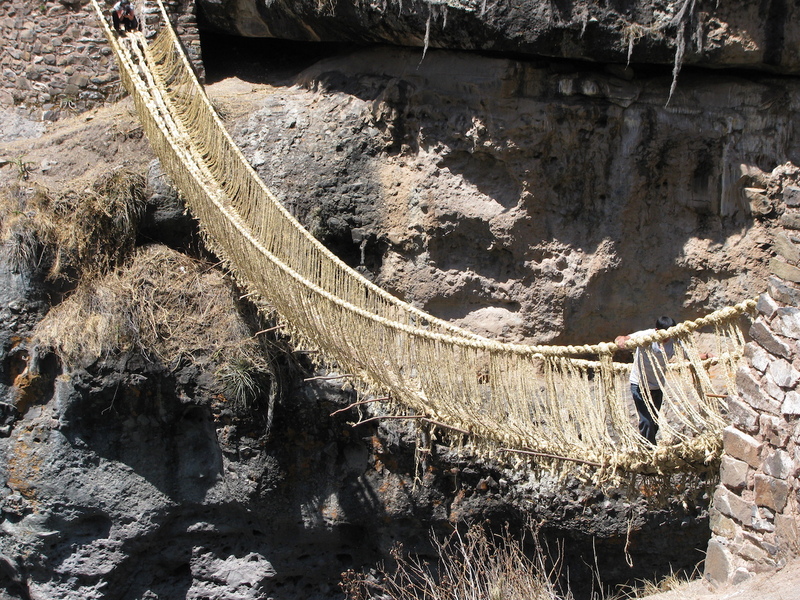 Called the Q’eswachaka, the bridge is the last surviving example of the over 200 grass rope bridges that once connected the region. 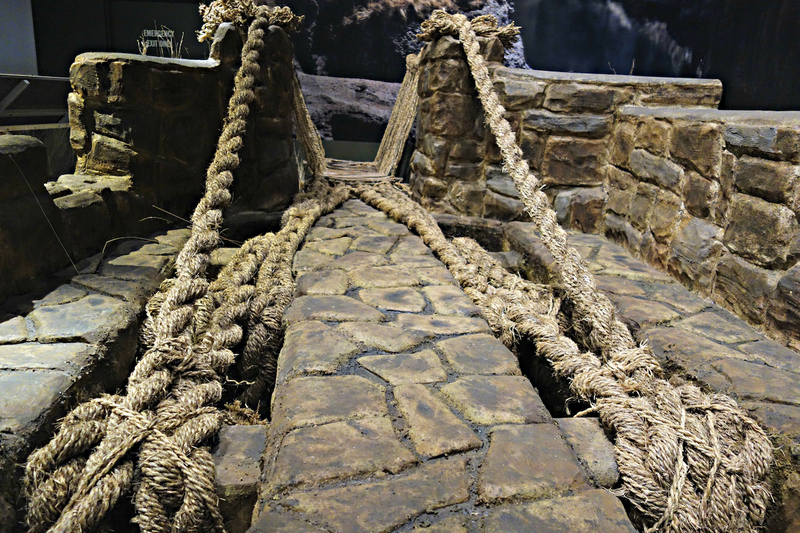 A small portion of a 60-foot replica built by Quechua weavers is on view in The Great Inka Road: Engineering an Empire at the Smithsonian’s National Museum of the American Indian in Washington, DC. As Abigail Tucker reported for Smithsonian magazine, the bridge was erected on the National Mall for the Smithsonian Folk Life Festival last summer, with the whole construction acquired by the museum. Another portion is reportedly planned to be on view at the New York City branch of the museum this fall. 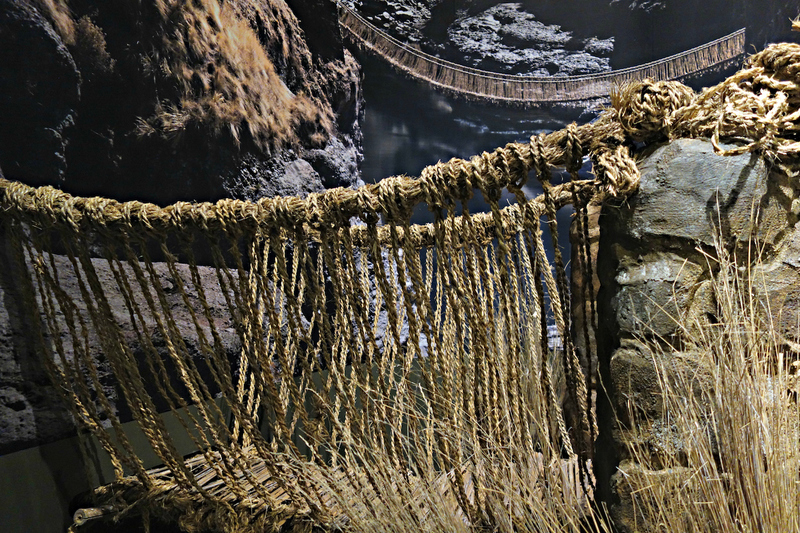 The bridge section is among over 150 objects on view in The Great Inka Road, covering the ancient empire to the present in exploring the history of the 24,000-mile-long road network. There’s an embroidered llama neck collar from the mid-20th century, a Bolivian incensario in the shape of a wild cat from 600 to 900 CE, a goliath aryabalo ceramic jug from the 15th to 16th centuries, and even 3D digital models of Cusco stonework sites you can explore online. Every year’s bridge starts humbly with the harvest of the local Jarava ichu grass, also known as feathergrass for its delicate blades. Cords of the grass are twisted together into huge cables, which require members from all the communities to stretch out. With two weavers starting on opposite sides of the ravine, eventually they meet in the middle, swaying above the water. 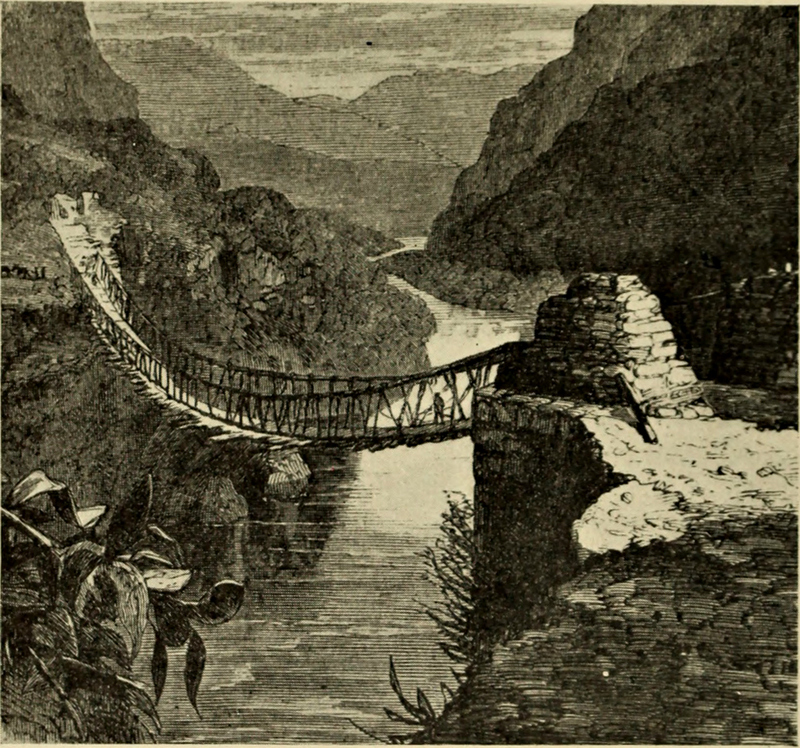 As Joshua Foer of Atlas Obscura pointed out in an article for Slate, at “least 300 years before Europe saw its first suspension bridge, the Incas were spanning longer distances and deeper gorges than anything that the best European engineers, working with stone, were capable of.” And they did it all in three days. 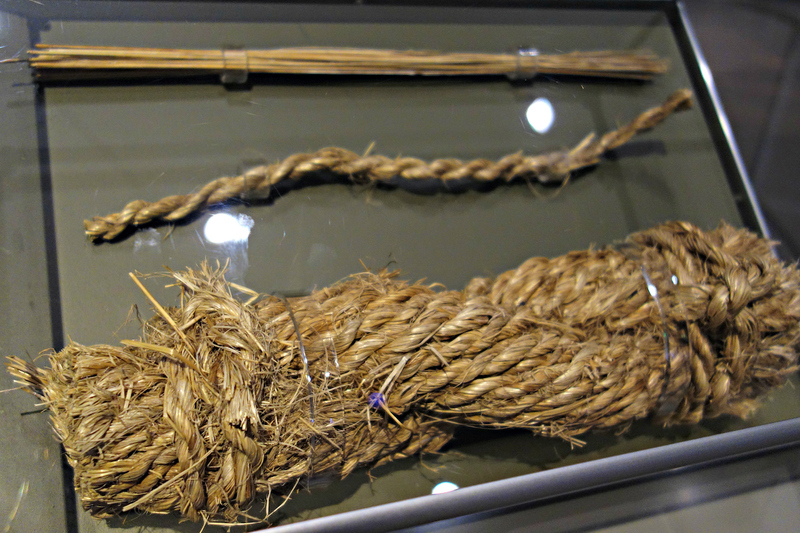 Knots and the tactile feel of fiber were an integral part of Inca life, whether the tied strings of the khipu knot language, or the reed boats that still sail on Lake Titicaca. 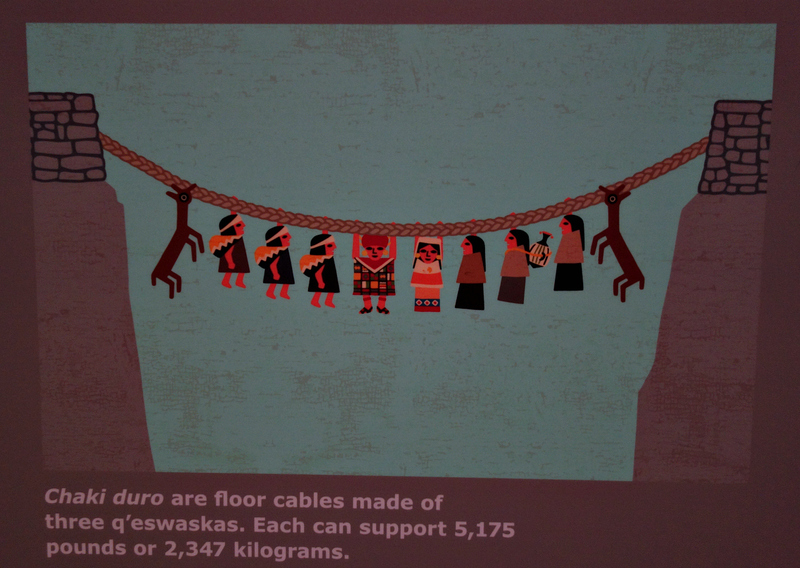 So the bridge is not just remarkable for preserving this technique, it’s also a point of pride for the communities, a living link to their precolonial culture. 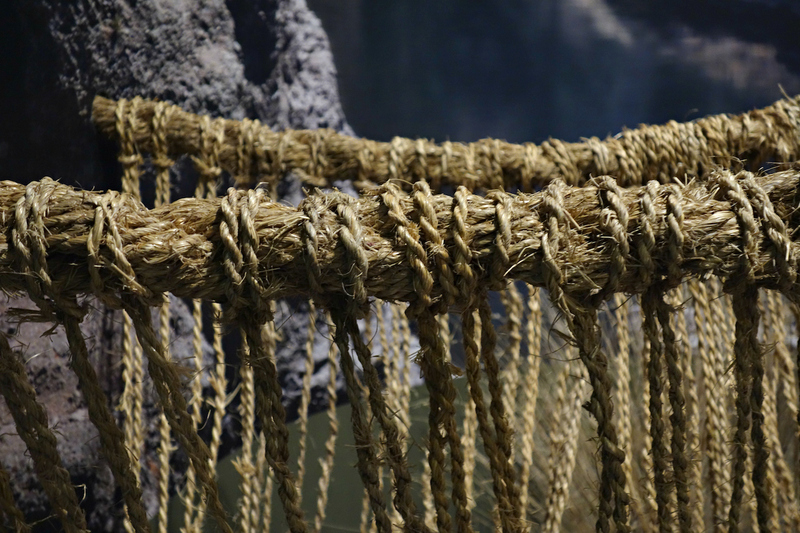 A modern bridge now stands not far from the rope bridge, and still, each year, the rope is woven from the grass. The Great Inka Road: Engineering an Empire continues at the National Museum of the American Indian (4th Street & Independence Avenue SW, Washington, DC) through June 1, 2018.